Review: Lila has a unique ability; she can move things with her mind. After an attempted robbery places her life at risk and subsequently threatens to reveal her special powers she hightails it out of her adopted home of England and flees back to California to seek refuge from her older brother Jack. Oh, and of course his best mate Alex who also happens to be the love of Lila’s life. She revelled in his protection as a young child and given the chance to spend time with him and Jack she does, leaving behind her cranky father and home life. Their sibling catch up becomes part of a much bigger investigation as Jack and Alex are working for secret organisations who are tracking people like her with special powers. They are the people allegedly behind the murder of her mother five years prior. Lila begins to question where her allegiance lies, with her brother and lifelong love or with the misunderstood youth with abilities just like her. I actually hadn’t heard about this book until I received a copy for review and was intrigued by the blurb. It’s essentially a YA novel with plenty of super powers, romance and action. At first I was unsure whether Lila would become an annoying teenage girl fantasising too much over a boy she had loved since she was a child but hadn’t seen in years. 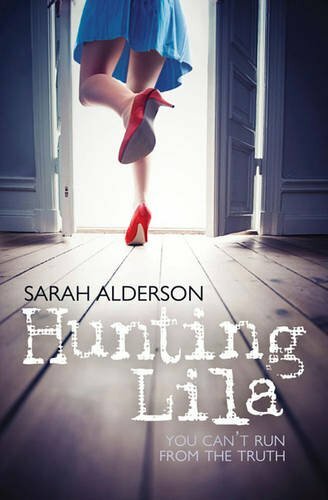 However, what Sarah Alderson does so well is using a young adult voice and making it extend beyond the superficiality. Lila never really questions her love for Alex and so as a reader I was quickly allied with Alex and wanting him to reveal himself further which he does gradually throughout the story. The romance plot is what really engaged me but the action and superpower storylines are what kept me turning the pages until the very end. Lila is a naive, self-conscious teen but her confidence grows throughout the story which is encouraging. I enjoyed the ending- it wrapped up just enough to keep me satisfied and left enough things open-ended to seduce me into adding the sequel, Losing Lila (yet to be released) to my TBR list. This is a great YA novel debut by Sarah Alderson and I highly recommend it to any fans of this genre.